the first week of every month. 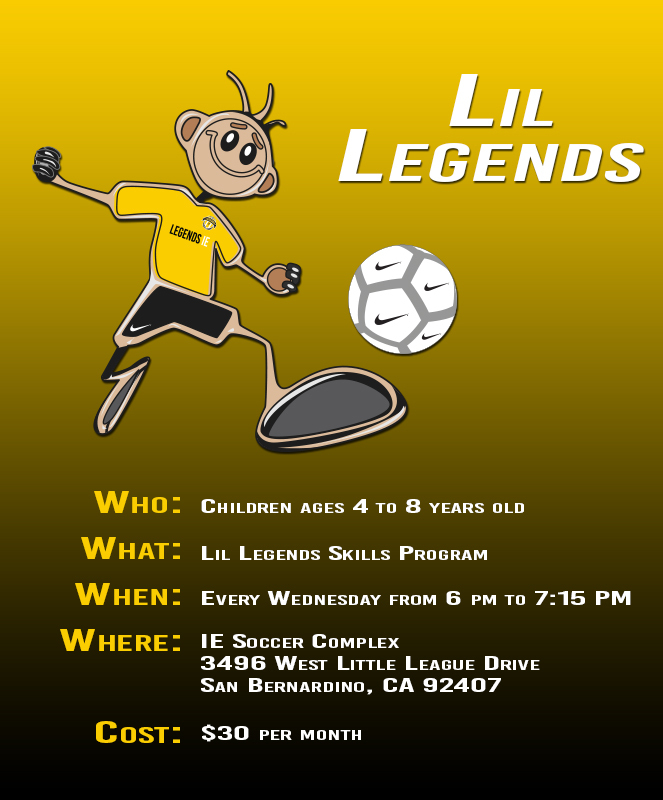 The “Lil Legends program is specifically designed for children aged 4-8 years old who are looking for a fun, high energy, positive hour of soccer! Our professional staff has planned a series of courses where young soccer players can enhance their soccer skills while helping them with their overall growth, motor skills, and confidence! 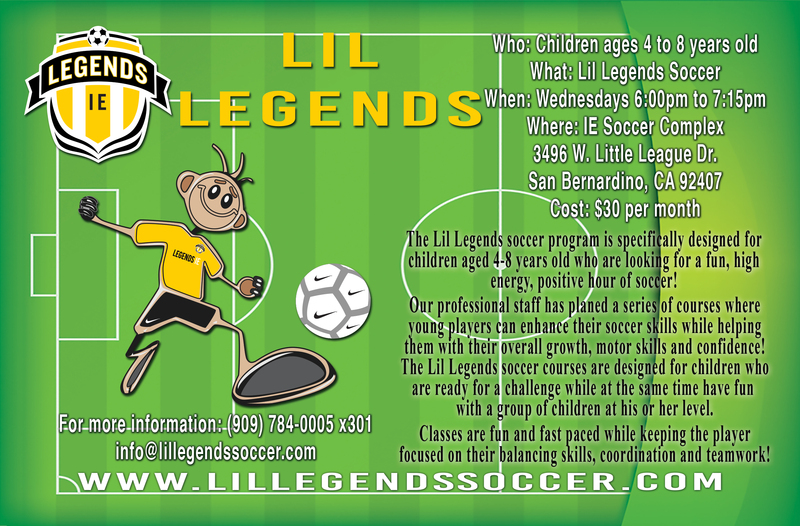 The Lil Legends courses are designed for children who are ready for a challenge while at the same time have fun with a group of children at his or her level. Classes are fun and fast-paced while keeping the player focused on their balancing skills, coordination, and teamwork!